JMW Specialty Welding and Fabrication is your complete solution for certified metal fabrication and repair. We offer a full in-house fabrication shop and 24/7 emergency mobile welding unit to serve your needs. From imagination through installation we take pride in the details of your project. Reliable, experienced, & up-front, we will become your go-to for custom welding fabrication, structural steel, and steel repair. We take pride in the quality of our craftsmanship and carefully consider every detail. Quality has been, and will continue to be, the benchmark of our success. Planning, communication & diligence are vital to the timely completion of every project. Our focus is to provide you with effective, concise, and clear information to help guide you through your project's progress. 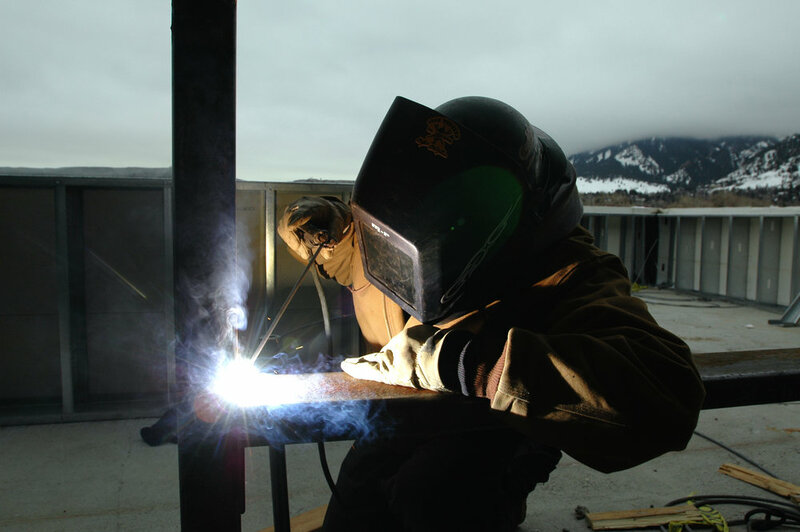 When working with JMW Specialty Welding and Fabrication, you can rest assured that your project is our priority. Not only do we build unique, custom-fabricated items, we are committed to giving you peace of mind in the process. You will be confident your project is going to be done right the first time because we truly enjoy what we do. Mobile Welding: We have a mobile welding rig that can come to you. From a broken handrail and stainless steel restaurant equipment, to large heavy equipment and architectural structures. With over 15 years of experience with metal repair and fabrication, we have the experience and equipment to handle your on-site needs. We carry the American Welding Society certificate for D 1.1 structural steel to meet all your structural fabrication needs. Floating Night Stand. Upstate, NY. Custom brackets for train station renovation.